Novo Nordisk, a world leader in diabetes care, this week kicked off the first NovoLog Community Star contest. As part of the program, type 2 diabetes patients successfully managing their blood sugar with NovoLog (insulin aspart [rDNA origin] injection) are invited to visit www.novolog.com and tell them how they’re giving back to their local communities. Now through March 15, NovoLog patients can submit their story and photo online for the chance to be crowned a NovoLog Community Star. Finalists will be selected by a panel of judges, and each will receive a $5,000 donation to a local diabetes-related organization of their choice. One grand prize winner will also receive a one-year online subscription to Weight Watchers to help with their diabetes management. 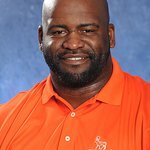 Two-time NFL Super Bowl Champion and NovoLog patient Kendall Simmons has partnered with Novo Nordisk to encourage people to get involved. Diagnosed in 2003, Kendall has been very active in his Alabama community, hosting an annual “Swing4Diabetes” charity golf tournament to raise money for a nearby diabetes and nutrition center. All NovoLog Community Star finalists will have the choice of a $5,000 donation made in their name to one of several third party organizations, including the American Diabetes Association, Produce for Better Health Foundation, and Insulindependence. Entries will be accepted for approximately eight weeks, and finalists will be announced later this year. Official Rules for submission are available by visiting www.novolog.com. If you have type 2 diabetes, or know someone who does, go online to share your inspiring story and learn more about insulin treatment and delivery options today.